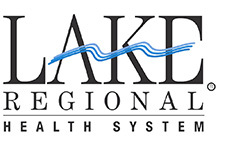 Lake Regional Health System is accredited by The Joint Commission and offers high-tech medical diagnostics and treatment, coupled with high-touch patient care. Over 1,200 employees support the medical expertise of a 95-plus full-time medical staff. Routine reviews of services provide continual direction for the organization, reflecting just the right benefits for the evolving population. Lake Regional also features a network of clinics, pharmacies and rehabilitation services located throughout the region. 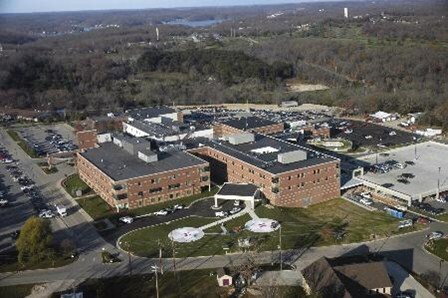 Lake Regional Health System is a 100 acute and 16 skilled nursing bed, state-of-the art community hospital which includes a 12-bed observation unit, an expanded 18-bed intensive/coronary care unit, a 22-bed stepdown unit, a center for radiation therapy, two cardiac catheterization labs, a newly expanded 35-bed Level III emergency department, a full service sleep lab, and comprehensive diagnostic, medical, and surgical care with a 24-hour cardiovascular surgery department. The Lake of the Ozarks is Mid Missouri's premiere vacation spot and is located in the heart of Missouri. The Lake was created by the construction of Bagnell Dam in 1931 and is more than 1,150 miles, which is more than the coastline of the entire state of California! Visitors and residents enjoy an array of recreational activities, including: two scenic State Parks, boating, golfing on over a dozen courses, camping, fishing, swimming, water-skiing, tubing, parasailing, great shopping that includes the Factory Outlet Mall with 100+ top name stores, a water park, scuba-diving, horseback riding, spelunking, mountain biking, excursion cruises, miniature golf, country music shows, crafts, and go-carts. In addition to recreational activities, the Lake offers a great selection of lodging and dining facilities, ranging from friendly, family style establishments to those that are very elegant and world class. The Lake of the Ozarks is a wonderful place to live or vacation and a great place to work, raise a family and retire.